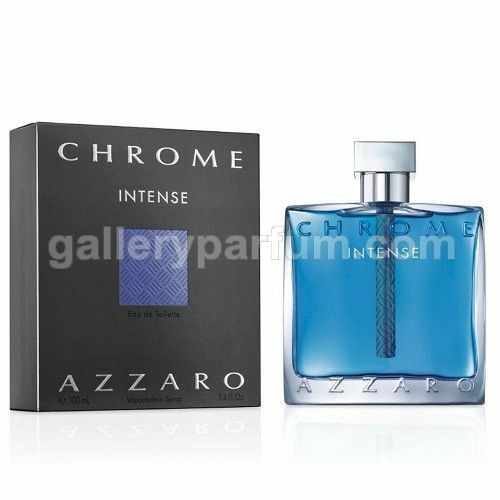 Azzaro launches a new version of the men’s fragrance Azzaro Chrome Intense just before the summer of 2015. AZZARO CHROME INTENSE arrives after Azzaro Chrome United edition introduced in 2013. Azzaro Chrome Limited Edition 2015 which arrives as a limited summer edition for 2015 (and looking at the notes, seems the closest to the original ingredients) takes the same flacon form as the original edition of Chrome from 1996. The new fragrance, besides a more intense composition, is also characterized by a darker color of liquid. AZZARO CHROME INTENSE opens with a citrusy union of bergamot and grapefruit, creating sparkling chords embellished with tart ginger and hedione molecule. The heart develops notes of ozone, jasmine water and lichen, while the base is created of precious wood, mate, amber and musk.